Cu acest micutel articotel, care are cateva randuri, imi anunt deliberat intentia vadita sa particip constiincios la un Super Concurs de Super Bloguri. Habar nu am la ce ma-nham, doar ca-mi plac provocarile. Sa fie scris!!! Iti multumim pentru inscriere si iti dorim succes! 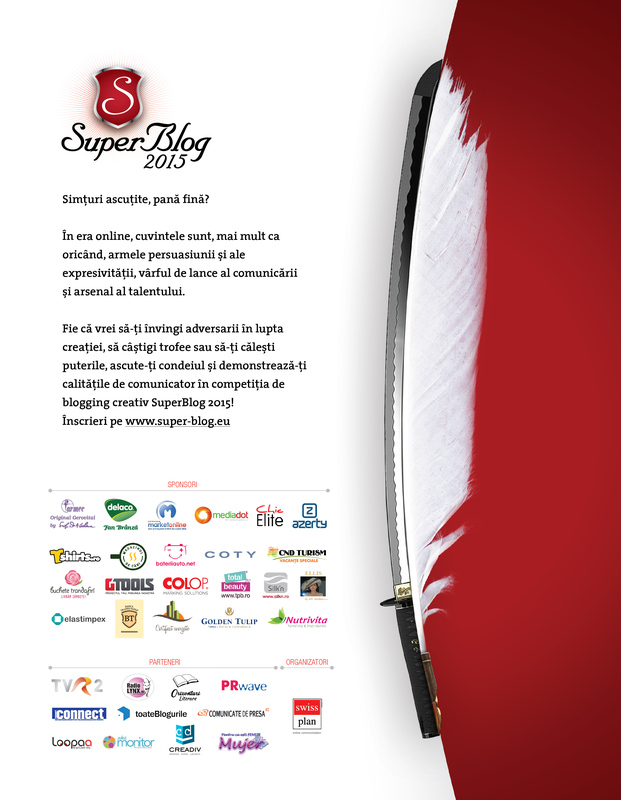 Te asteptam la start pe 1 octombrie, cu prima proba, si speram sa te regasim la linia de finish si la Gala SuperBlog 🙂 Inspiratie din plin si toate cele bune! Multumesc mult. Sa fie 🙂 La toata lumea. Yo#81&2u7;re a better man than I for watching this Brandon. I endured, I dunno five minutes, before giving up and not even surfing back to it. I just stayed on Monday Night Football.It was a Seahawks / Rams game. And I stayed there. naturally like your website but you need to take a look at the spelling on several of your posts. A number of them are rife with spelling problems and I in finding it very troeblusome to tell the truth however I’ll surely come back again.